Portrait of Diego by Sánchez Coello, ca. 1577. Diego Félix of Austria, Prince of Asturias and Portugal (August 15, 1575 – November 21, 1582) was the fourth son of Philip II of Spain, and also his third son by his fourth wife Anna of Austria. 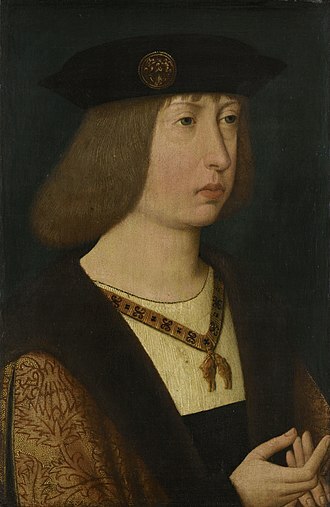 At the time of his birth, Diego's elder brother, Prince Ferdinand, was still the heir-apparent. On the death Ferdinand in 1578, Diego became heir-apparent to the throne. Diego also had another elder brother, Carlos Lorenzo, who died in infancy. His mother had just learned of the death of Carlos Lorenzo, and she was said to have suffered such a shock from word of his death that it caused her to go into premature labour, giving birth to Diego. 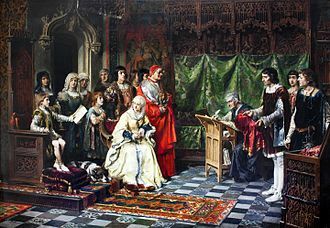 He was formally invested as Prince of Asturias on 1 March 1580 by the Courts in Madrid. The poet Cristóbal de Virués dedicated a sonnet to the new Prince, where he proposed that Diego follow the steps of his father. In 1580, his father became King of Portugal as well, making Diego heir-apparent of that realm also. His mother, Anna, died during a trip to their new kingdom. Diego and his siblings remained in Madrid under the care of half-sisters, Isabella Clara Eugenia and Catherine Michelle. The letters of Philip II make clear that he was extremely proud of Diego: he wrote that his son had already learned the alphabet and dancing by the age of five. In a letter dated 1582 the king wrote to the Indian Viceroy Francisco de Mascarenhas commanding that he bring an elephant to the Prince of Asturias as a gift. 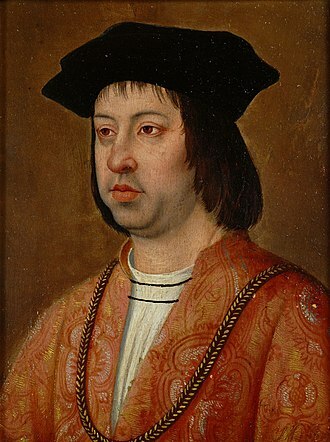 Philip II taught his son the Portuguese language so that one day Diego could speak as king with his Portuguese subjects. In addition, Philip II planned to betroth Diego to one of the daughters of John, Duke of Braganza and Catherine of Portugal. Diego never became king. In late 1582 he contracted smallpox and died at the age of 7. 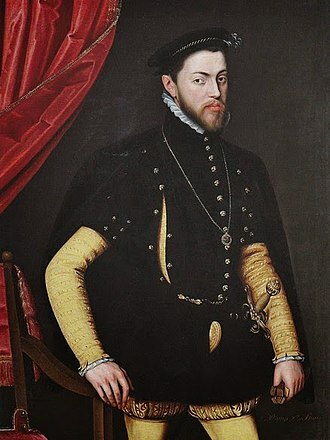 At his death, Philip II was inconsolable, for the only heir to the throne remaining was the small and sickly Infante Philip, assuming the position of Prince of Asturias. 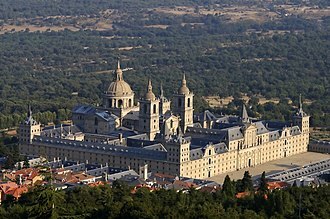 The king gave orders that continuous prayers be said at the Church of Our Blessed Lady in Zaragoza for the health of the royal children remaining. Diego's younger brother became King Philip III upon his father's death in 1598. 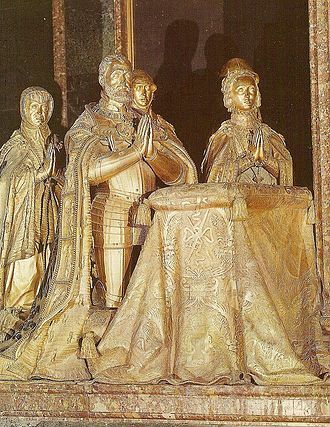 Thus continued the lineage of the Spanish Habsburgs. 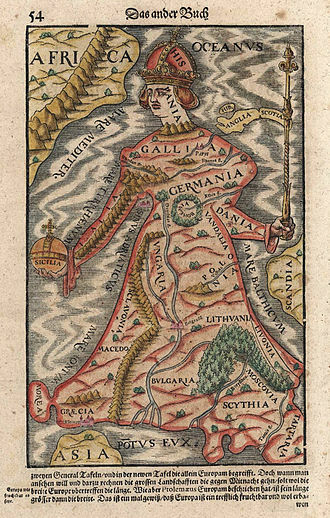 ^ Friedrich Christoph Schlosser, Georg Ludwig Kriegk: World History for the German people, Vol. 13, Varrentrapp, 1852, p. 202. ^ Freiherr von Münch: Book for Latin and English literature, Ferd. Dümmler, 1860, p.159. Manuel of Portugal was the illegitimate son of António, Prior of Crato, pretender to the Portuguese throne during the 1580 Portuguese succession crisis. He secretly married in 1597 Countess Emilia of Nassau, daughter of William the Silent, Manuel was born in Tangier to Portuguese pretender António, Prior of Crato and one Anna Barbosa. 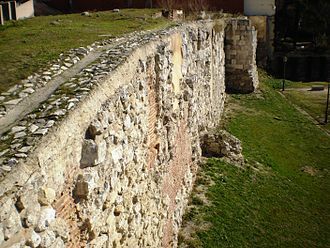 Due to his religious office, António of Crato was not allowed to marry, after a failed attempt to gain the throne in 1580, António used to live in France and England. His son Manuel of Portugal is known as Emanuel I, after the death of Henry, King of Portugal, his familys return to Portugal and his fathers acclamation as King on 24 July 1580, Manuel chose to go by the title of Prince of Portugal. However, his fathers reign was short and troubled and he lost his title to King Philip II of Spain at the Battle of Alcântra. After hearing about this defeat and his father fled to Coimbra to avoid imprisonment, they were once more defeated. With no options left and his father were forced to hide in monasteries and friends houses until they fled to France with the rest of the family. 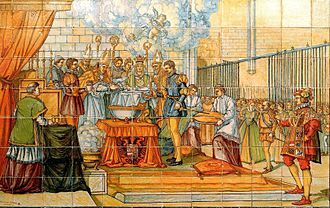 Before, António went to England, asking for Queen Elizabeths support, which was granted, despite everything, António was still acclaimed as King in Azores until the Spanish troops arrived in 1583. On 7 November 1597, Manuel wed Countess Emilia of Nassau, the brides family were prominent representatives of Calvinism in Europe while the groom was Roman Catholic. Their families opposed the marriage but this did not prevent the couple from being married by a Roman Catholic priest. 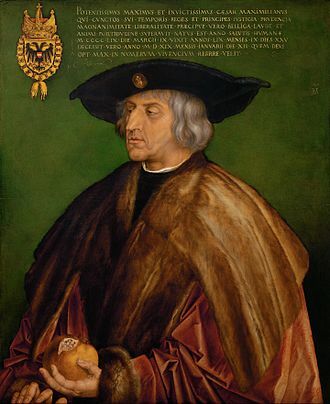 Consequently, Manuel was forced to flee to Wesel, Emilia – initially under house detention – was able to follow him in December 1597. 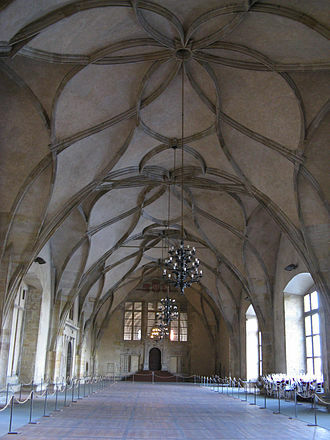 Because of the circumstances of the wedding and Emilia used to live in a permanent shortage of money during the first years of their marriage, the couple was granted a pension and residences. Life at the court was not easy for them since the Catholic Manuel was shunned by the local society. 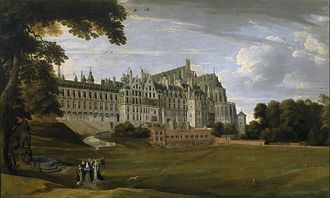 After the death of Maurice, when the tensions between his successor Frederick Henry and Manuel were increasing, the latter went to Brussels, the fate of this family was moreover overshadowed by a scandal. 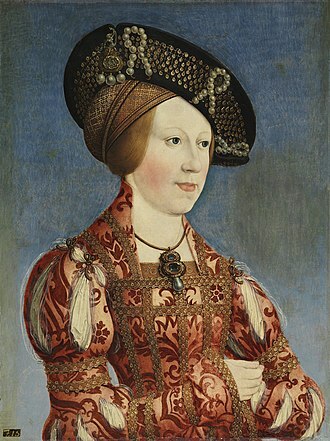 She served as regent of Spain during the absence of her spouse in 1529–1532 and 1535–1539. Isabella was the child and eldest daughter of King Manuel I of Portugal. 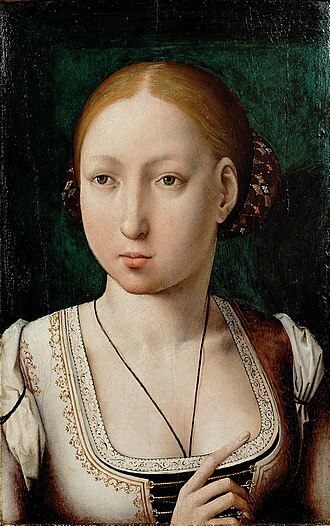 She was named after her maternal grandmother Isabella I of Castile and her aunt Isabella, Princess of Asturias, Isabella was second-in-line to the throne until the birth of her brother Louis in 1506. However, as the oldest daughter of Manuel I of Portugal and Isabella were both grandchildren of the notable rulers Ferdinand and Isabella of Spain. 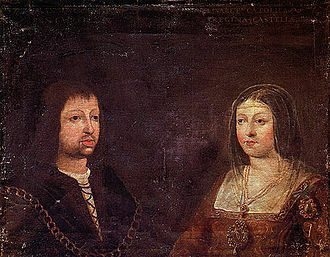 The union between Charles and his cousin Isabella had been proposed by the parliaments of both Castile and Aragon, Charles agreed to marry the Infanta Isabella purely for political reasons. 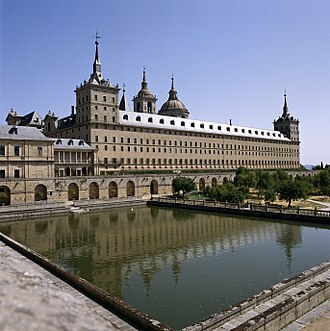 Early in 1526, the travelled to Seville, where the wedding took place on 10 March in the palace of Alcázar of Seville. Isabella brought with her a dowry that greatly assisted Spanish finances. Although it began as a union, the marriage proved to be a love-match. Records show that during their honeymoon when are together, although there are people around, they do not notice anyone else, they talk and laugh. Isabella proved to be a competent politician and she served as regent of Spain during her husbands absences between 1529–1532 and 1535–1539. 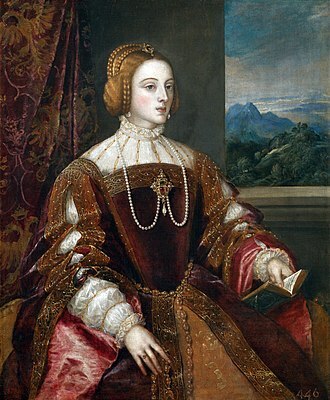 She was noted for her intelligence and beauty, Isabella died in May 1539, when her sixth pregnancy ended in a stillbirth. The emperor was away at the time, and her death affected him deeply. 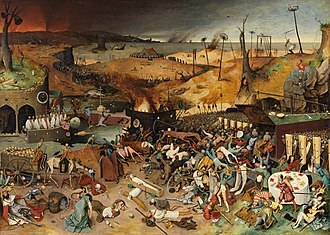 He never remarried, and he dressed in black for the rest of his life, in 1547, the nobleman Francis Borgia conveyed her corpse to her burial-place in Granada. It is said that when he saw the effect of death on the beautiful empress, in 1580, more than 40 years after her death, her son Philip succeeded the Portuguese throne. 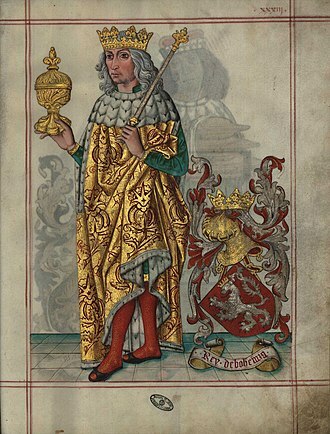 It was he who claimed the rights to the throne of Portugal that temporarily united the Iberian peninsula under one crown in what would be called the Iberian Union. 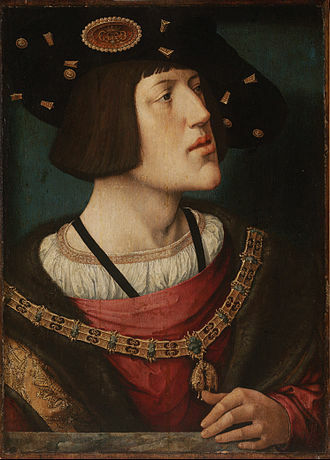 Isabella married Charles V, Holy Roman Emperor on 10 March 1526 and their children were as follows, Philip II of Spain, the only son to reach adulthood. 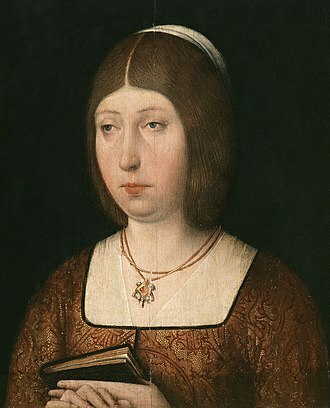 Maria, who married her first cousin Maximilian II, Holy Roman Emperor, who married her first cousin João Manuel, Prince of Portugal.